KARACHI: “Hey don’t stop! They are life-size cutouts of the Pakistan Super League (PSL) players, not them in person trying to catch a ride to the stadium for the Peshawar Zalmi-Islamabad United final!” someone yelled out from a passing car as one slowed down a little to get a good look at the hardboard Misbah ul Haq, Darren Sammy, Sarfraz Ahmed, Shoaib Malik, Imad Wasim, Brendon McCullum, Hasan Ali, Shahid Afridi, Babar Azam, Asad Shafiq, etc. Those players in full playing kits on the various road dividers and traffic islands are just decorations like the decorative green fairy lights hanging from poles, grills and trees. No light pole in the city remained without a banner with any player’s picture or messages such as ‘Govt of Sindh welcomes PSL’, ‘People of Sindh welcome PSL’, ‘Karachi welcomes PSL’, ‘City of Lights welcomes PSL’ and even ‘KMC welcomes PSL’. Even Lahore, which hosted last year’s PSL final between Peshawar Zalmi and Quetta Gladiators, was not decorated as elaborately as Karachi, which has not hosted as grand a cricket encounter since February 2009 when Pakistan and Sri Lanka played a Test match here at the National Stadium Karachi (NSK). Lahore, last year, was more focused on security. But Karachi provided security as well as glamour. Though the entire city celebrated the occasion, the passage from the airport to the hotels, where the players were staying, and from there to the stadium was exceptionally lit. Of course security precautions brought along several other issues top of which was the inconvenience caused to the people. Although even the roads left open remained mostly deserted with people choosing to remain at home in fear of being harassed unnecessarily by members of the law enforcement agencies deployed all over, there were also some who had to leave the safe confines of their homes. The roads were blocked with containers, buses, water tankers and trucks. Where they ran out of all these, one also spotted taxis and even rickshaws being used to block ways. Shahzad Khalil Road was blocked with containers just at the point of turning towards Stadium Road on which the Liaquat National Hospital and Aga Khan University Hospital are situated. The two women in the rickshaw didn’t know what to do. “My sister needs to reach the Aga Khan Hospital for her delivery,” said one of them to the policemen sitting under a tree shade on the footpath there. But the men in uniform didn’t seem too impressed. They said the woman should have watched the news on TV before leaving home. “They have been announcing all day that the sick can reach hospitals situated on roads that are closed in ambulances only. We are only under orders to let ambulances pass,” said one of them. Another woman in a maroon car, who said she lived nearby, stopped by and offered to help the two. “You may leave the rickshaw here. I can drive you to the nearest ambulance spot,” she told them. That was when a Chhipa ambulance just happened to pass by. The women waved to it to stop. “Maybe you should call your baby ‘PSL’,” the helpful woman suggested. The mother-to-be smiled. “First let my baby come into the world safely. I don’t even know if it is going to be a boy or a girl yet,” she replied as she was carefully helped into the ambulance by her sister. At the open grounds not being used for parking lots had neighbourhood kids playing cricket in their colourful kits. When reminded to save some energy for cheering their favourite team in the evening on TV if they were not going to the NSK, a few dejected souls stopped for a breather and said that they really wanted to watch the match at the stadium. Abdul Karim of Dalmia Road said that he lived so near to the NSK he thought it would be a shame to not go and watch there. “I was at the TCS office on the 15th, at 11am, when they had said they will start the sale of tickets,” he said. “But I was told they were out of Rs1,000 and Rs4,000 tickets and only had the Rs8,000 and Rs12,000 ones if I was interested. How could that be? They had only just started selling the tickets! Now we are going to watch the final on TV and are killing time till it begins,” he said. Bilal Ahmed, also playing cricket there, said he was a student of Federal Urdu University and would be going to watch the final there as they had put up a big screen there. Meanwhile, in the parking lots, designated for spectators of various enclosures, there were the young Sadequain and Rizvia scouts assisting people with parking and guiding them to the sitting area until the shuttles arrived. When asked if they did not enjoy cricket, all unanimously replied that they loved cricket. “We will watch on the big screen here while doing our duty,” said one of them pointing to the screen. Later, all the places where they had put up the big screens had as lively an atmosphere as in the stadium. There were people dressed in Peshawar Zalmi and Islamabad United jerseys going absolutely mad as they cheered for their team as if they could hear them. Many people heading to the stadium were also sporting the blue Karachi Kings jersey. When asked if they had forgotten that Karachi couldn’t reach the final, some said that when they bought the shirt they were rooting for Karachi. Most of them, however, said they had specially worn it to show Karachi representation in the stands at least. Also dressed in blue and with Rs4,000 tickets in hand, Mr and Mrs Ali, their little son Daniyal and daughter Haniya and Mr Ali’s two sisters patiently waited for a shuttle to transport them to the stadium. They had been waiting in the parking lot since noon. Asked if they regretted coming so early and if the children would get cranky by evening, Mr Ali said that it was good to have arrived early. “We also didn’t bring our car. I parked it at my in-laws’ place and came here by rickshaw because we were afraid that the shuttle service won’t be that reliable after the match. 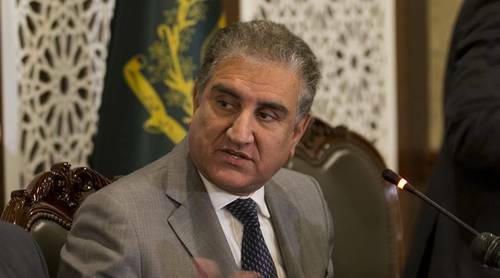 We will try to go back by rickshaw without having to come back here,” he said. “The children are little but I wanted them to live this moment when international cricket returned to Karachi. At 10 and six they are old enough to retain this memory. That’s why we also didn’t have any issues paying the full amount for their tickets as there was no concession for children,” said Mrs Ali. Talking about remembering this time for years to come it was rather strange that only a few people remembered what day the PSL final coincided with. It was on March 25, 1992 that Pakistan lifted the cricket World Cup by beating England in Melbourne, Australia. 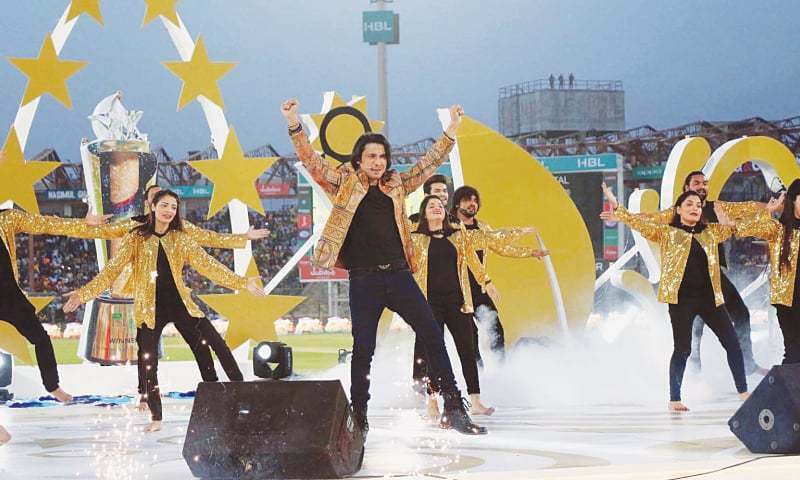 It was also the World Cup-winning skipper Imran Khan who had envisioned cities clashing on the cricket field, instead of bank or government department outfits, to bring more excitement to the domestic scene. That was then an idea way before its time. After cricket, when the streets have been filled with dirt and filth, who will clean the city of Karachi now, that's my concern.